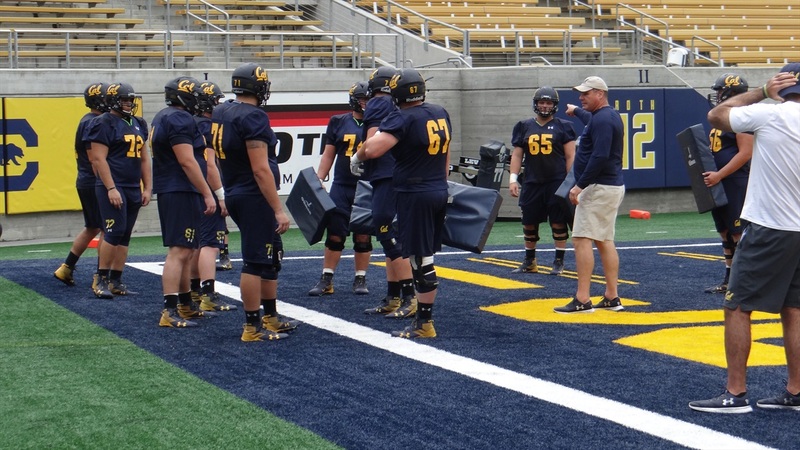 Facing a short week with the regular season finale against UCLA on Friday, the Bears went through a workout Tuesday that was more involved than their usual Tuesday session. "You've just go to kind of speed everything up a day," quarterback Ross Bowers said. "You are just trying to condense everything." "It was kind of Tuesday/Wednesday, kind of like a split day," said offensive coordinator Beau Baldwin. "A little different with a Friday, same as WSU, though, and that turned out all right.